So at the end of it all, Turning Point had no Title changes, but the Main Event picture for the next month became well-defined. A.J. Styles took the ultimate fall and won’t get a chance to compete for the TNA World Heavyweight Championship until Bound For Glory 2013, while James Storm took the #1 Contender spot. That said, an above-average card delivered an above-average show. Simple as that. 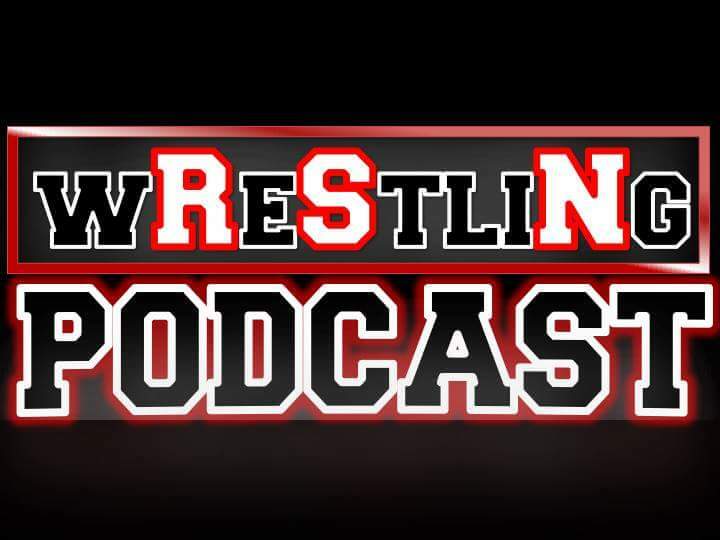 Check out the latest episode of The RSN Wrestling Podcast, where “Big Guy” Rich, “The Mastermind” Sal and PWO’s Resident Head Honcho Nick give you a little international flavor, as they discuss stars that contributed to the business’ diversity throughout many eras. As you know, diversity has always been an American staple and this time of year, it’s all about America, so recover from your July 4th food coma and get comfy! – To the night’s credit: there was a fair amount of hype for the episode, as we got the big payoff match with Mickie James/Magnus against James Storm/Serena, what stipulation Matt Hardy would pick for his TNA World Heavyweight Championship match against Champion Ethan Carter III and of course, the biggie – Jeff Jarrett’s induction into the Hall Of Fame this year. – Dixie Carter started the show by announcing the latest 2015 TNA Hall Of Fame Inductee was Jeff Jarrett, of course pushing his actual acceptance of it to next week. Odd way to start things out, since it paid homage to a guy who is running a different company, though he’ll probably be a prominent part of storylines in due time. We called it first. – The opening video highlighted Ethan Carter III’s “reign of supreme” last week and how he got himself out of a Title defense against Kurt Angle, culminating in a verbal showdown with Dixie Carter where she said she knew who’d be in charge and EC3 wasn’t it, hyping the reveal of a new power. Tiny little bit of intrigue there. – The opening video hyped the Kurt Angle-Ethan Carter III World Heavyweight Championship match. If only this was Slammiversary material. Actually, a lot of this show was what should’ve been Slammiversary. This was undoubtedly the best Impact of the Destination America era in terms of consistent top-to-bottom enjoyment. 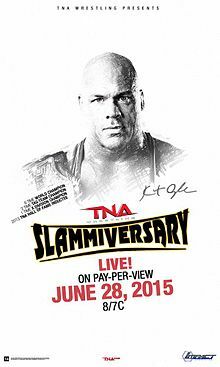 This year’s Slammiversary came off hype-wise as a last scramble effort to come up with something with a nostalgic flavor added with a dash of seasoning provided with what is the current TNA roster. However, what happens when you don’t provide enough seasoning? The TNA roster is dwindling down to its main players and a lot of notable names are going away – Magnus, James Storm, Gunner, Awesome Kong, Taryn Terrell and Austin Aries so far. TNA has never given that “sinking ship” vibe, but this felt like a throwaway show in every aspect. People were expected to shell out $40 for a show that didn’t even feature the World Heavyweight Championship or its holder (guy on the poster for pete’s sake), instead resorting to a new, recycled King Of The Mountain Championship – which its “powers” weren’t even explained in detail. 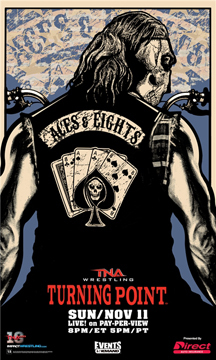 This show was saved by a couple of matches – Austin Aries and Davey Richards and the non-sanctioned match between Magnus and James Storm. It only makes sense that three of the four men in these matches are no longer with the company past Slammiversary, despite the fact that some will appear on the next two taped episodes of Impact. Not to mention the awkwardness of having to be in a live crowd that is watching a show “prior to” something that already technically happened. For a company struggling financially, this was a half-hearted attempt to gain buys and the majority of this show could’ve been saved for a throwaway Impact. Anyways, let’s run through the card. It’s rather ironic that TNA is celebrating their 13th year in existence, in a time where their future seems more and more in doubt on a professional, ethical and financial level. Things looked to be full of potential as early as January 7 on their first live Impact at the Manhattan Center, when we got a couple big returns and a heel turn that led to the birth of what looked like a dominant faction. However, over time, things have dwindled down to false hope and desperation on TNA’s part. They’re losing momentum in every way fathomable – Destination America has lost faith in them – dropped a good amount of programming. Several talents have made it clear they’re done with the company – Gunner, Low-Ki, Magnus, Austin Aries (presumably) and now James Storm. Of all the bright spots on the company, it rests in a few things – the never-say-die demeanor of the tag team division, the introduction of the weirdly entertaining Dollhouse faction in the Knockouts, World Heavyweight Champion Kurt Angle’s dominant title reign, sparks of underdog brilliance by Rockstar Spud and what has been the main gleaming beam of hope – Ethan Carter III. From his look to mic skills and well-built streak, it’s almost TNA’s mission to make sure he is the top star of the company for the foreseeable future. It also only makes more sense that TNA pushes their free “Bell To Bell” program on TV rather than their Pay-Per-View, but it’s none of our business. We’ll run it all down though. – There was definitely a good amount of focus on the incoming Ethan Carter III-TNA World Heavyweight Champion Kurt Angle match on this show, and it started right from the opening video, where Angle’s two successful title defenses against Rockstar Spud and Austin Aries were highlighted, as was EC3’s post-match attack at the end of the show.